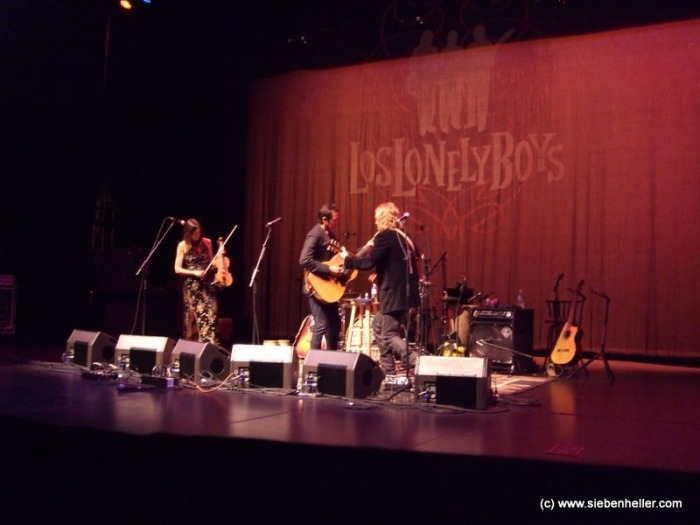 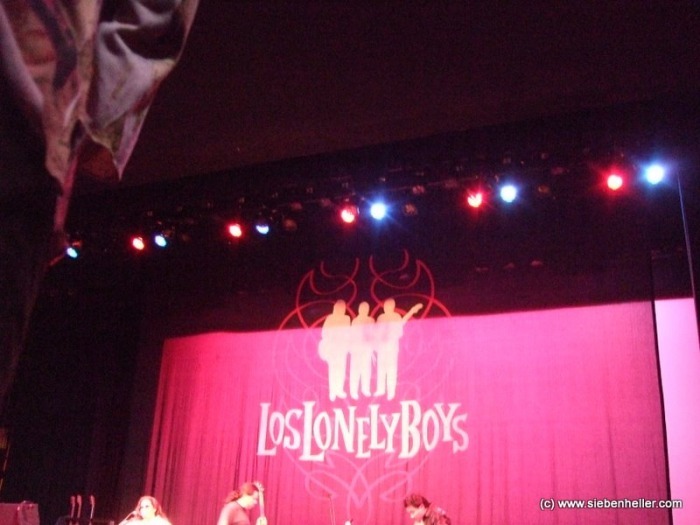 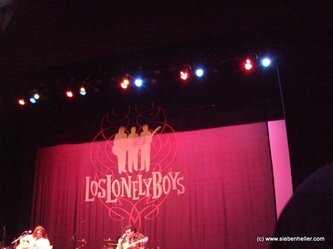 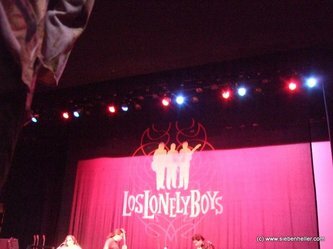 Saw Los Lonely Boys at Shea Auditorium with Alejandro Escovedo opening on 10/10/09. Escovedo was amazing, the Boys were good too. 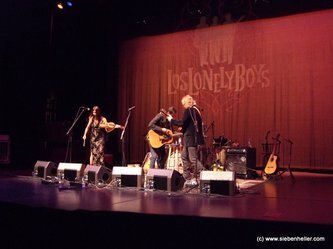 We had first row seats, which were great, especially when Escovedo stood about 10 feet from us to sing one song unamplified. 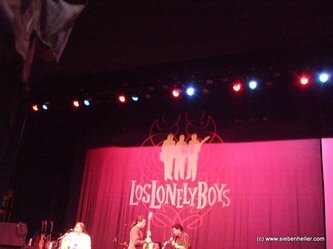 This was an all-acoustic effort, but I prefer Los Lonely Boys electrified. 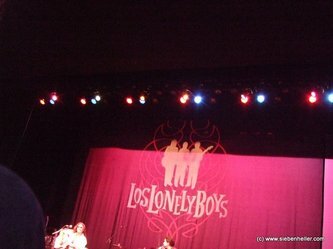 I had saved my Los Lonely Boys photography for the encore, since the ushers were harassing people... then one usher with a vendetta for another front row denizen parked himself right near us and spent the last half hour with his eyes on us, so I was only able to squeeze off a couple of unframed shots. Oh well, someone recorded the show's audio and it's available on www.dimeadozen.org.